A brewing up of creativity ! This did not really turn out the way the doodles in my notebook intended. It kind of went a little downhill after the first image I took which is the last to be placed here. I was thinking of the term "brewing up a storm" in relation to the process of creating little series of ideas from the imagination. 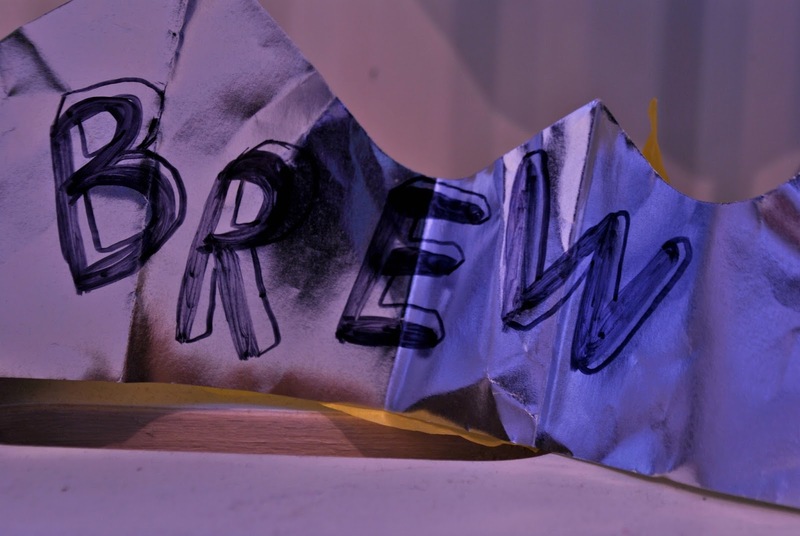 More specifically, my ideas were focussing on how overwhelming a burst of creativity can often be (I had planned on photographing the top of my head surrounded by a pile of ideas on scraps of paper.) but also how frustrating creative blocks are. School can be such a bummer for creative people, as the majority of the learning and even right down to the presence of uniforms can suppress creativity on such a level ! 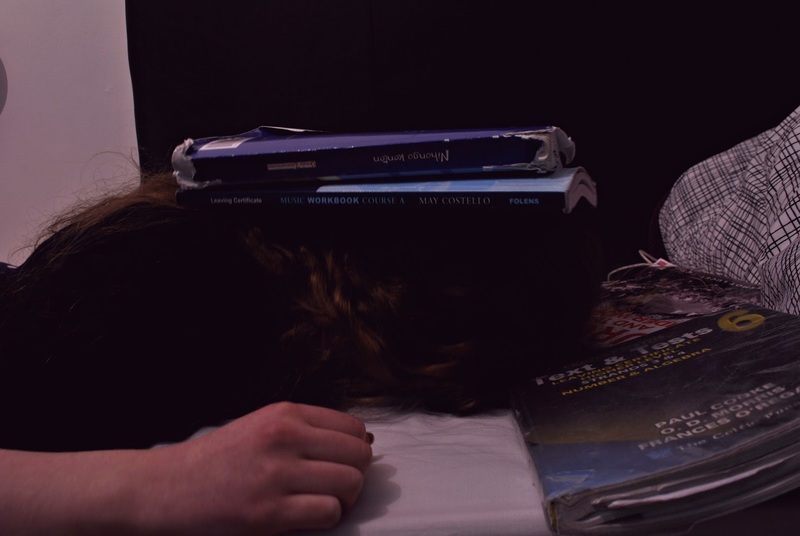 Hence the attempt to pile schoolbooks on my head. Luckily, I tend to find school to be such an intriguing environment - especially recently - and I note or doodle ideas at any given opportunity so it's almost a positive for me in one sense. But at the same time, it leaves little time to develop these ideas or to turn them into things and I'm way too exhausted for anything at the weekend so school remains to be seen as a negative ! As a result of mocks taking place and mid-term approaching, it is, of course, the appropriate time for all us students to sit chapter tests in every subject ever ! Yay ! Monday is my only 'test-free' day and on Friday, I have two - that happen to be my only two weaker subjects - so at this stage, we are looking at a situation where I come home from school on Friday and go for a nap until it's time to return from the mid-term. But on a more positive note, there's only three weeks after that until the end of term, which is when we are given two and a half weeks for our holidays ! Non-sarcastic yay ! I should probably stop wishing my life away. On an even more positive note to end this post, I finished season twelve of Degrassi last night and it was most definitely the most amazing season that I have seen on the show so far and I'd go as far to say it's the best season that I've watched of any series. For a teen television programme, the season covered so many important issues and dealt with these topics in a way that neither glorified nor dumbed down each situation. I also love how the series isn't as grim as a show such as Skins but not as 'bubblegum' (is that the right way to say it ?) as a Disney Channel programme or something. I honestly do not know how I didn't go to sleep balling my eyes out ! Instead, I went to sleep very happy - probably because I also started listening to a new Birdy song (which also has a brilliant music video, now that I remember !) - and I had a good dream that wasn't weird or sad !!!! Achievements !